(Repost, because it’s too good to miss!) 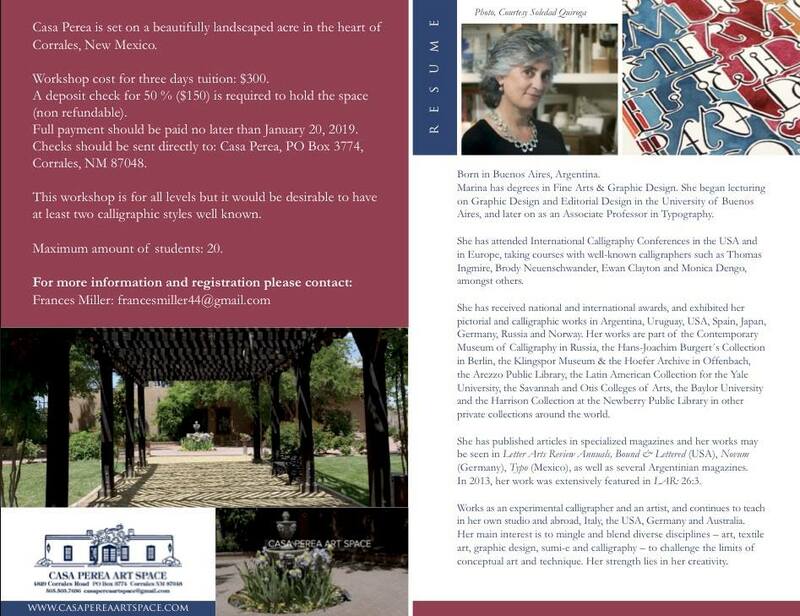 BAG member Gail Rieke let us know that Martha Egan, who used to own Pacha Mama on Canyon Road, has a new project: Casa Perea, a beautiful multi-use venue in Corrales, New Mexico. 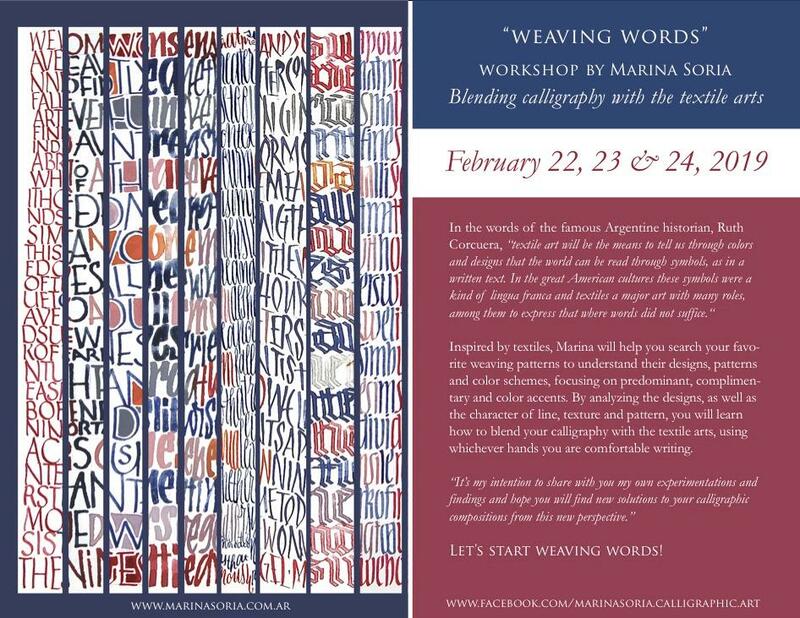 Calligrapher Marina Soria will teach a three-day workshop, “Weaving Words,” on Friday, February 22, Saturday, February 23, and Sunday, February 24, 2019 (see graphics below). For more information on the workshop, contact Frances Miller at francesmiller44@gmail.com. For more information on Casa Perea, visit https://casapereaartspace.com/.